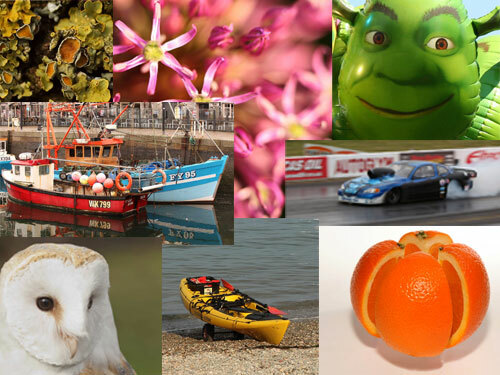 ← What do you call a picture with more than one image? 50 ways to improve your photography – every day! Looking critically at photographs is the best way to improve your photography! We started this weekend with a 50 shot inspirational video. So now the point… to learn is to improve. Make it a personal mission to understand the photography of others. Once you know how to look at other peoples photography you can take a variety of approaches to your own. Being behind the camera can at once be both liberating and limiting. You can photograph anything. At the same time you can only photograph what is in front of you. The pressure is on you to get the shot. So, what do you shoot? What angle do you shoot it from? How do you approach the shot? What is the best way to compose the scene? The photographs taken by other people are inspiration and guidance. Inspiring because you see how others see – gain insight into new ways to shoot. Your own approach is informed by the success of others. The work of others is also guidance. When you know how to look at a photograph you see what makes it good or not so good. You see where others make mistakes. You understand how to avoid their mistakes. You know what to look for when composing your shots. Two lessons come from this inside knowledge of photographs. First, learn how to look at a picture. Learn to make a critical appraisal of its merits, its mistakes. Learn how to see into it. Second, make it your daily mission to look at 50 photographs done by other people. The 50-a-day habit will open a new world of appreciation of photography. There are literally billions of photos online. Fill your boots and then some. With time, new critical skills will develop. Your photography will improve. You will know how to look at a scene and compose to make the best of it. In a future post I will be looking at critically appraising pictures to help you with your mission. This entry was posted in Background Info., Composition, How to..., Starters School, Tips Tutorials & Techniques and tagged Appraisal, Art, Creativity, Critic, Critical. Bookmark the permalink.